Description: The UrbaNomad workshop was one in a line of workshops conducted by RIEA, following the Taormina workshop (Aug 2001) and the Lund workshop (Oct 2001). 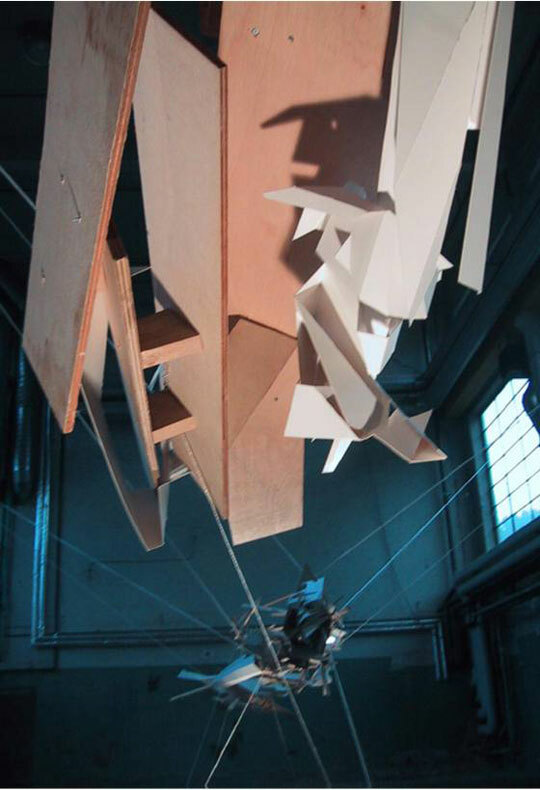 It gathered a design studio for a limited period of time, raising questions on urban research and spatial design. 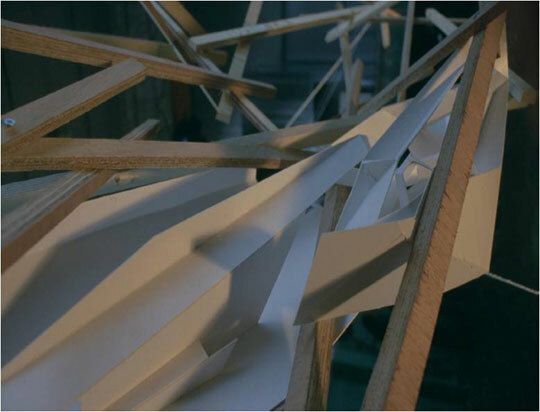 The workshop was part of a semester course at the Oslo School of Architecture and it was developed as a platform for discussions on the interaction between film and architecture. The workshop process was documented by the students in film and photo format and collected on a DVD as the end result of the course. 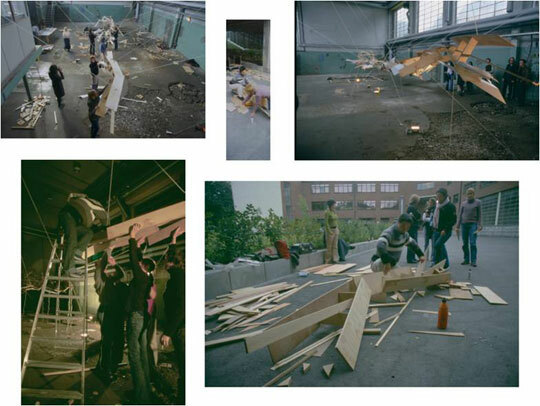 The overall task of the design studio suggested a workshop layout that investigated the interaction between architecture as dynamic and durational space operating in harsh confrontation with the more static and traditional urban planning system. 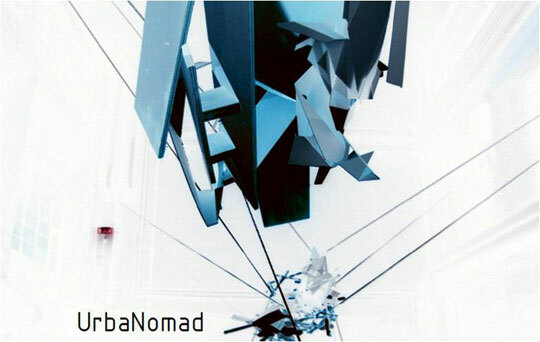 The nomad space is not limited by the urban striated space, which is confined by gravity to a horizontal plane and the paths fixed between identifiable points. Following the scholarship of Gilles Deleuze and Félix Guattari, nomad space is “smooth” or open-ended. Within the smooth spaces — the rhizomatic zones — the nomad operates, ascending and descending, emerging and receding. 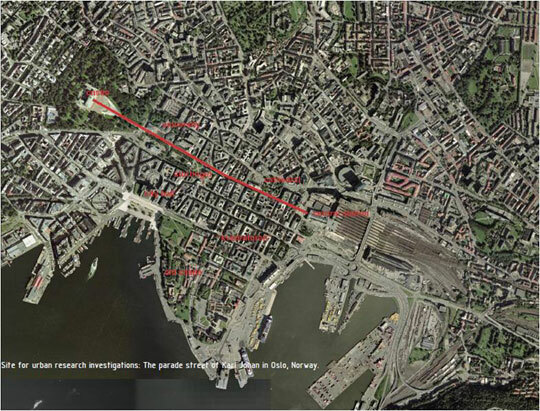 The workshop task was developed for investigating the most celebrated urban space in Oslo, which is the parade street of Karl Johan. The specific conditions that characterize the site offered an opportunity to work with the traditional urban setting and its spatial connections. Additionally to being the geographic and cultural centre of Oslo, Karl Johan is also recognized as an important symbol of the city. The street intersects with the city center in a straight line, connecting the castle in the west and the central station in the east. 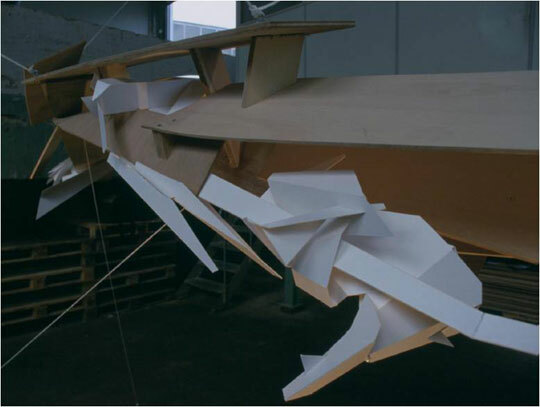 The investigation of the relationship between the nomad spaces and the urban spaces required a research-oriented design process and an open mind to reveal new spatial interactions. Bibliography: Deleuze, Gilles, and Félix Guattari. A Thousand Plateaus. New York: Continuum, 2004.